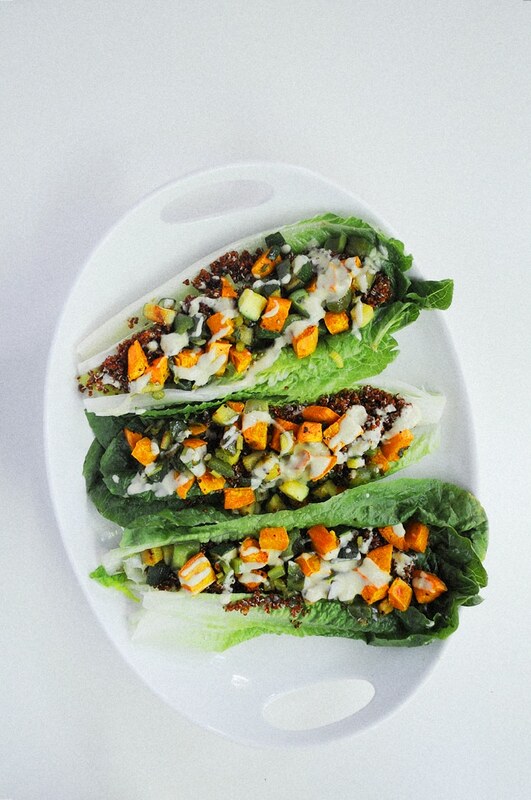 Sweet Potato Quinoa Salad with Tahini Dressing is perfect for the summer months when it’s super hot. 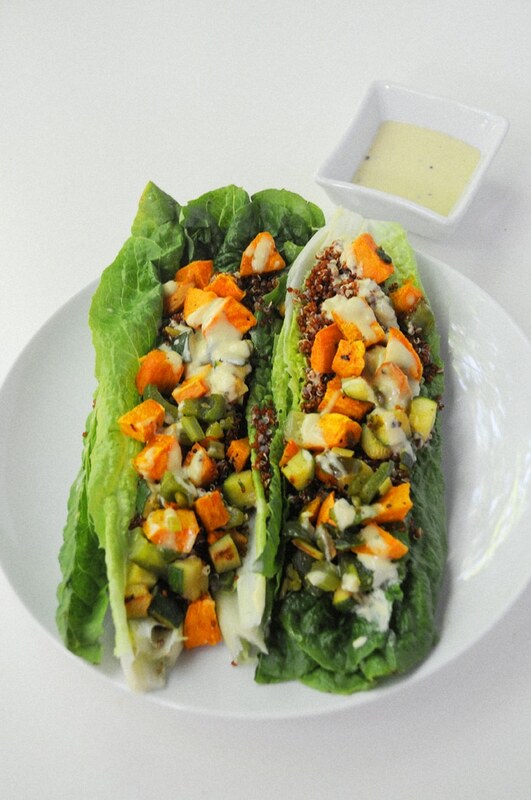 Sweet Potato & Quinoa Salad with Tahini Dressing is a reminder of our stay in Key West. 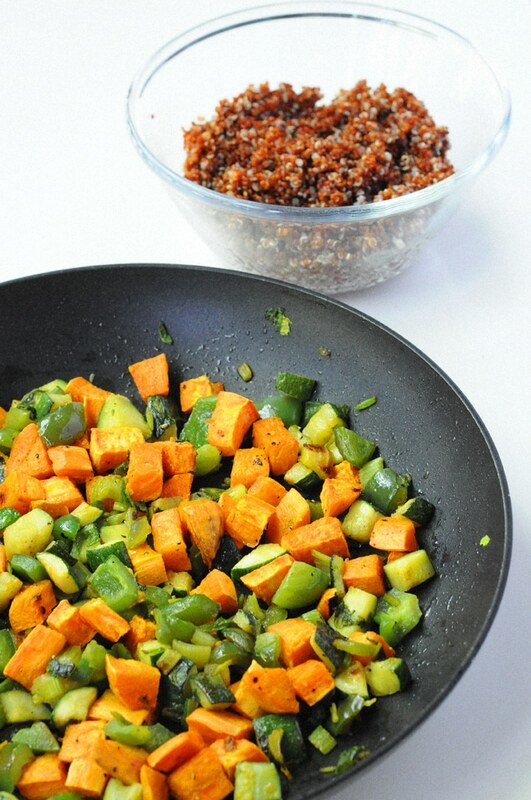 That is when we were introduced to the Inca Quinoa, which has become our favorite thing to put on our salads. Now that the weather is getting hotter and the summer days longer. A salad for dinner is becoming the perfect meal. There is a crunchy taste with a nutty flavor that I love when I am eating this grain. Quinoa is gluten-free and considered easy to digest. It’s filling to say the least and great on any salad. I’m always trying new ways to spice up my salads for our dinner. We do No Meat Mondays and that has turned into a big salad night for us. 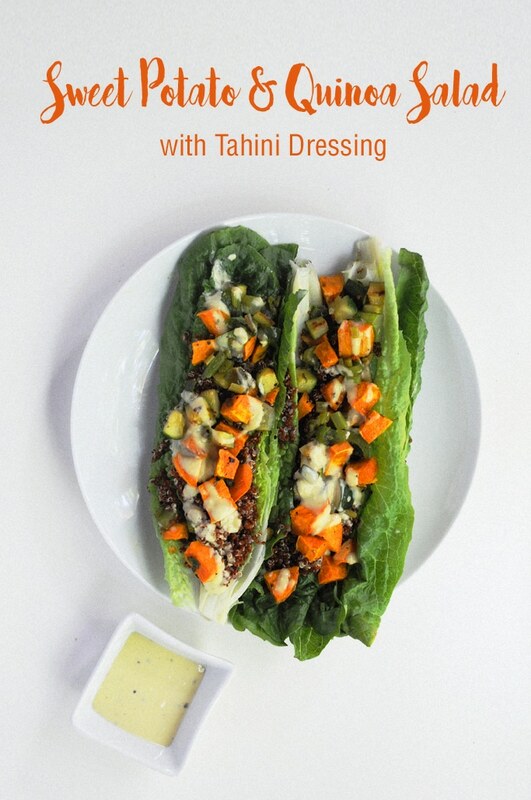 Tahini: rich in minerals such as phosphorus, lecithin, magnesium, potassium and iron. 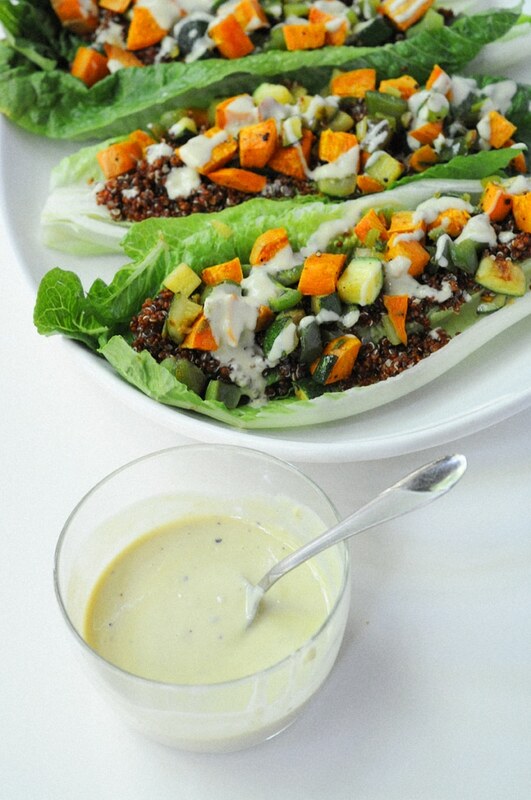 Sweet Potato & Quinoa Salad with Tahini Dressing is perfect for the summer months when it's super hot. Chop the sweet potatoes and roast in the oven for 20 minutes at 400º degrees. Cook quinoa to package direction - I used a cup to make this salad. Chop the zucchini in bite size piece. Cut 2 Romaine lettuce in half. Place on the a plate and put your toppings on top. 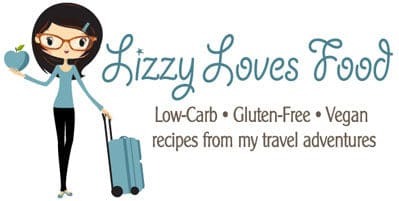 Put all your ingredient and mix in a food processor or blender. Sprinkle the dressing on top of the salad.